There are several third party websites such as TrueCar and Edmunds, that offer an instant hassle free price based on the vehicle you want. You get a savings certificate that you take to the dealer and buy the car without the haggling. But what happens when the dealer doesn’t want to honor your certificate? Over the past several months I have been getting an increased number of calls and emails from car buyers who showed up expecting a quick and easy sale using an online price certificate. Their experience was neither quick nor easy and many of them ended up walking away from the deal and frustrated about the whole process. I was shopping for a new Jeep Grand Cherokee and got what I thought was a great deal through TrueCar. I drove two hours to the dealership with my certificate. They didn’t have the car I wanted but they had something close, but the price was way above what the certificate said. The dealer told me they don’t have to honor that price because they don’t have that car. Are they allowed to do that? The short answer is yes, the dealership can sell whatever product they want at whatever price they want. 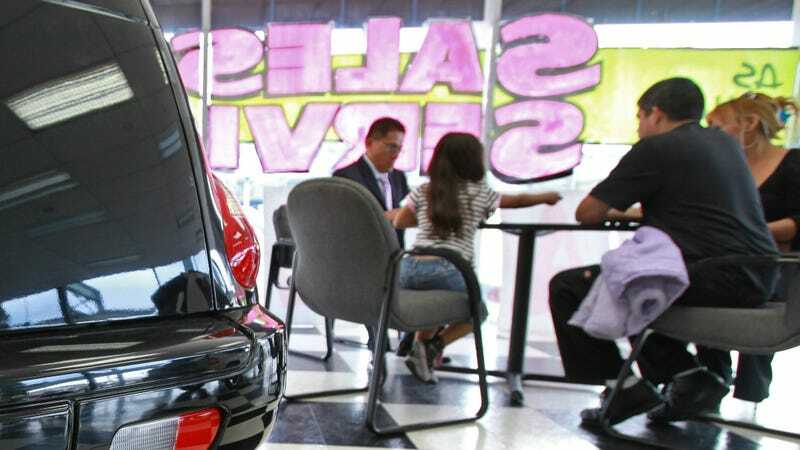 There are no rules that dictate a dealership must sell a certain car at a certain price. This is why cars that are in-demand often will get “marked up” above MSRP. What consumers should know is that these third-party shopping sites have absolutely no authority over the dealers to make them sell for the price you were given. People can complain, and maybe after a bunch of back and forth, the dealer might give you the discount. What buyers need know is these websites are paid by the dealerships, and these price certificates are primarily used as a lead generation tool so that the dealer can have direct access to the customer. Before we go any further it is important to remember how dealerships handle internet sales. There are two basic philosophies. The first approach is the low profit, high satisfaction method. Most dealerships are using these savings certificates or online quotes as a means to make a quick and easy sale. They won’t make a lot of money off the car, but the idea is to have a happy customer who will hopefully tell friends and family in addition to giving high marks on those customer surveys. The majority of dealerships operate this way. You get your price, you show up, they have your car and agree to honor the discount. You make the purchase and go on your way. Both parties leave the deal satisfied, but no one really talks about these stories on the internet. The second approach to internet sales is the high-profit, low satisfaction method. These dealers don’t care if you come back, they don’t care if you bad-mouth them to everyone you know or write a terrible review on the internet. All they care about is taking as much money from you as possible. These are the dealers that will use the savings certificates or an “internet sales department” for one purpose... just get you into the showroom. Once you are there, they will try to wear you down, whip out the four square paper to confuse you on the numbers and you will likely will spend hours on the back and forth of, “Well...I gotta talk to my manager.” And after all this, if you do decide to take the deal you have to contend with the finance office who will probably try to sell you all kinds of useless add-ons. So how do you avoid this mess? The first thing you should understand is that any price certificate you get from a third-party buying tool is really just an “example” and not necessarily reflective of what that car is actually selling for nor does it tell you if the dealer has your chosen vehicle in the inventory. Often the certificates that end up in your inbox are automatically generated, and not really sent by an actual person at the dealership. Sometimes these price quotes include incentives that you may not qualify for. You need to contact someone at the dealer and confirm they have the car you want in stock. Even though you are engaging in “internet sales,” this step is often best accomplished with a phone call. You can check a dealership’s inventory via their webpage, but sometimes cars are sold and they are still listed for sale online. If you can, try to talk with a sales manager directly, though this is not always possible. Once you speak to someone, request a detailed quote in writing via email, complete with an itemized list of all applicable taxes and fees. This is the point were some red flags signs pop up. If the dealer is resistant to sending you a quote or insists that you come in before talking numbers, chances are they are in the “ high-profit, low satisfaction,” camp. Remind them that you would be happy to give them your business, but you need all of your numbers in writing before you show up. They will either play ball, or continue to push you to come in. If the latter, just politely end the conversation. If you do get a dealer to send a quote, it might not be everything you asked for. Sometimes the taxes and DMV fees aren’t included. I’ve seen dealers undercut the sale price of the car, but then make up for it with a $1000 “prep fee.” Often these will just be generic “numbers” on a make, model, and trim that matches the car you want. Request that these numbers are attached to a specific VIN on a car they have in stock or one they can get. Also, confirm that the price does not come with any caveats. As I mentioned above, some prices are contingent upon factory incentives that you may not qualify for. Get all the details on these when you are comparing quotes. I had a reader contact me about a deal he was offered on a new Toyota. The dealership offered several thousand off MSRP, and the price was way lower than all the other competing dealerships. However, once he got there he found out that in order to get that price he would have to finance with the dealer’s bank at a much higher APR than what he was pre-approved for through his credit union, and he had to buy a $900 GAP policy. After a few back and forth emails and follow up phone calls you should have the quote you need from that dealer. Repeat this process until you find the deal you want. If all this sounds like a long and tedious process, that’s because it is. But you are spending thousands of your hard earned dollars on an expensive piece of a equipment that will be with you for many years. Of course if you want to avoid all of this hassle, you can listen to Tavarish and buy that nicely depreciated luxury car for the same price as a new Camry. Online shopping tools have made car buying much easier than it was even five years ago. Now that consumers are armed with much more knowledge than before, dealerships are feeling pinch when it comes to their profits. Some have embraced the online sales model in order to move more units and get satisfied customers, while others are resisting the tide and continue to fall back on old-school “stealership” tactics. It would be great if we could buy a car like we do everything else online, but in order to be sure you’re getting the right deal you have to work for it.